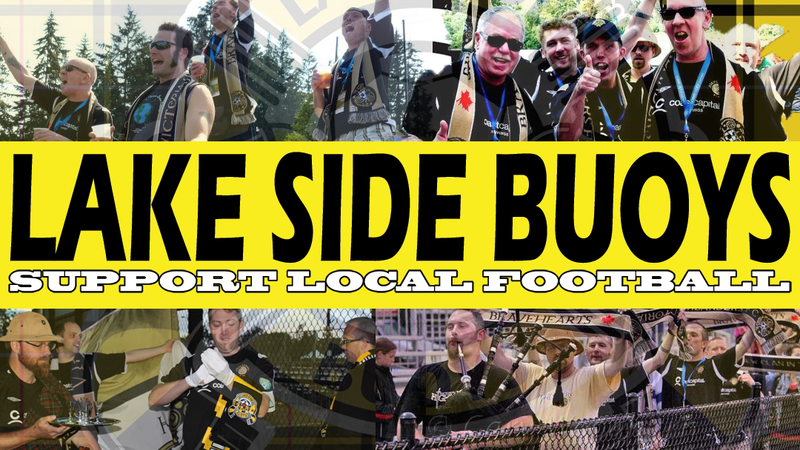 Do you have what it takes to be a Soccer Supporter? Well, if you're on this website, then yes, you probably do. 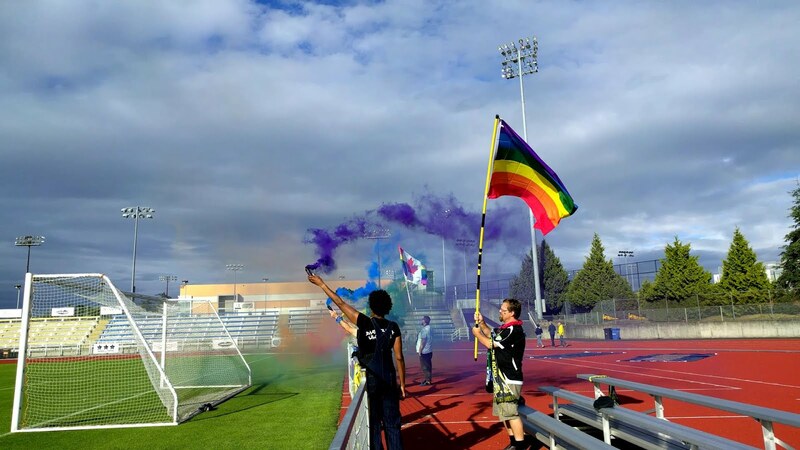 What is a Soccer Supporter? We are a unique feature of the Beautiful Game, an extra bit of fun that is hard to find in most other sports. We are the super fans, the ones making all the noise. We chant and sing for our club and intimidate the opposition. We bang on drums, wave flags, create elaborate displays - anything to give our team an advantage playing at home. Our primary goal, however, regardless of our team's wins or losses, is to have fun. What do the Lake Side Buoys do? If you haven't checked out our About Us page yet, you should do that. 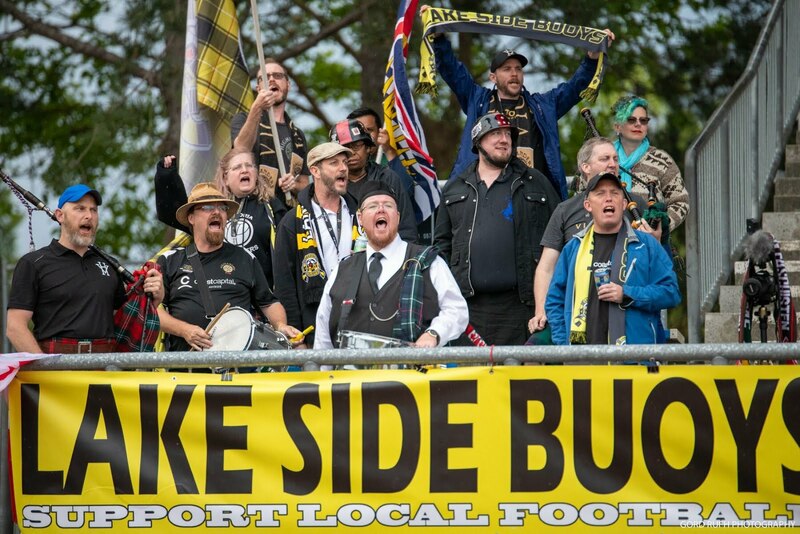 Since 2009, we've supported the Victoria Highlanders, a team currently in USL League 2. If you are a fan of the Highlanders, by all means, join us out at Centennial Stadium! 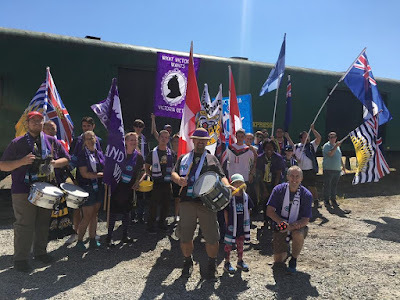 But, chances are you've come to this page looking for the supporters group for Pacific FC, a brand new team on Vancouver Island in the brand new Canadian Premier League. Yeah, that's us too. Whether you want to cheer on the Highlanders or Pacific FC, you can do both with us. That's easy, just stand with us. We're not hard to find. Join us for a song and a pint, everyone is welcome! But, no, how do I join, officially? Oh, you want to be a member, do you? Well, first, you're going to have to be rigorously tested to make sure your obscure soccer knowledge is top notch, and of course you'll need to be quizzed on proper English pub etiquette, and... I'm kidding. 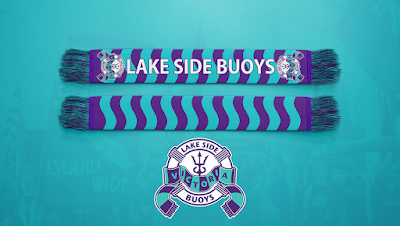 Membership in the Lake Side Buoys is pretty simple: pay your annual dues, and you're a member. 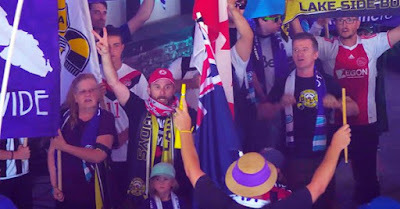 Most soccer supporter groups take in membership dues to pay for some of the things we use at the games, like flags, banners, scarves, drums, pyrotechnics and other assorted paraphernalia. In case you were wondering, we operate independently of the clubs we support, though we do try to maintain the best relationships with the front office, and of course, the players. 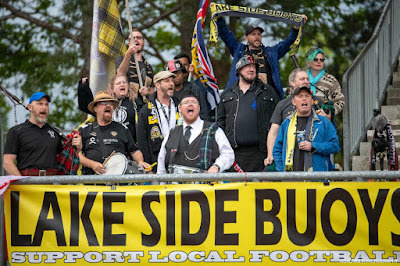 The best benefit is knowing that, aside from coaching a youth team, you're doing everything you can to Support Local Soccer. In doing so, you help insure that the sport we love continues to grow in our communities, on our island and around our country. In addition to that, you become part of a truly unique bunch of people who are genuinely fun to hang around with. If you haven't met us yet, you'll just have to take my word on that for now. 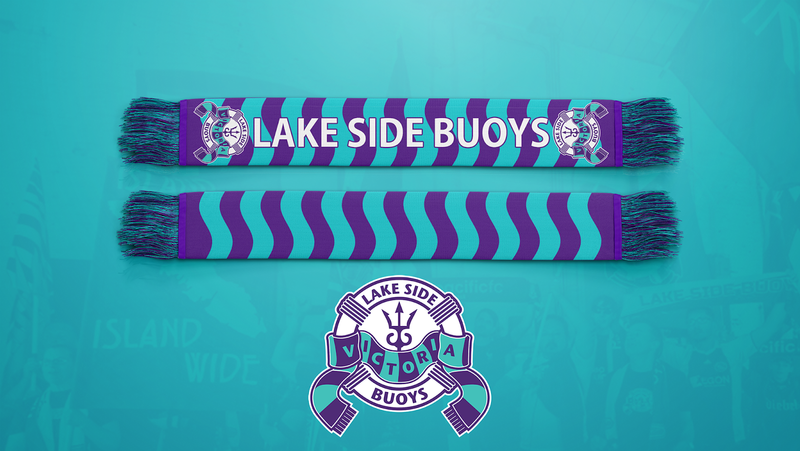 Aside from that, your membership package also includes some sweet, sweet swag, like this summer weight scarf that is only available to members of the Lake Side Buoys. 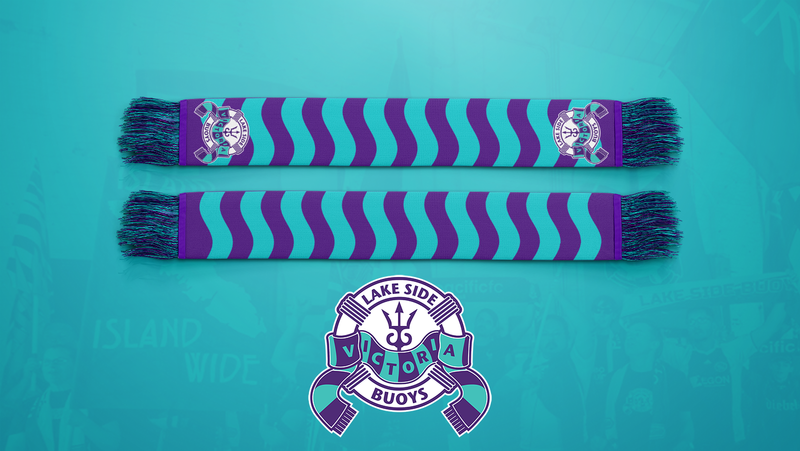 You'll also get a few other goodies like a sew-on crest with our logo and the current membership year (highly collectible!) and probably some stickers or something. And you'll be on our secret super exclusive mailing list. And you'll have access to our top secret members only Facebook group. Is it even possible to put a price on all the excessive fun and eternal friendships you'll be enjoying? Turns out, yes, it is. Membership dues are $30(CAD) per year. We currently have membership packages in stock, ready to go. If you're local and don't want to do this online, that's fine. 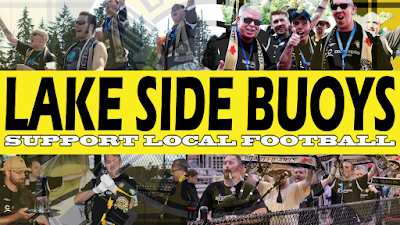 We are running Pub Nights monthly in downtown Victoria where you can stop by a local watering hole, chat with us and purchase your membership package (and other swag) at that time. If you're not local and need your membership package shipped to you, we can do that, just let us know after you've purchased your membership.